If you want your staff to perform at their best, then you need to become the best damn manager ever, someone who can ignite your employees' passion for their jobs, enabling them to execute their duties at a high level whether you're there or not. The Best Damn Management Book Ever teaches managers, executives, and business owners how to do just that. 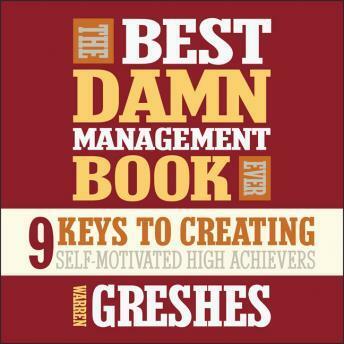 From the acclaimed author of The Best Damn Sales Book Ever, this concise trove of management wisdom outlines the nine keys to creating self-motivated high achievers. Become the best damn leader your staff needs to achieve their goals and blow away the competition.